The Fire Station No. 8 History and Legacy (FS8HL) working group was established and charged to develop and recommend strategies to recognize, emphasize and honor the history and legacy of the Hall’s Hill/High View Park Volunteer Fire Department and Fire Station No. 8. In support of recommendations from the Fire Station No. 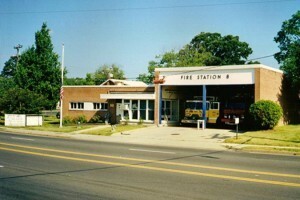 8 Task Force, the Board voted in July 2016 to build a new four-bay station in the location of the existing Fire Station No. 8 at 4845 Lee Highway. The design process is slated to begin in 2018 for the replacement station. Given the rich history of Fire Station No. 8, there is a shared desire to determine how this history and cultural legacy can be celebrated and included as part of the replacement station. The working group submitted recommendations in May. This timeline was designed to give adequate time for the County to review and consider how the recommendations may be incorporated and funded in the design of the new station. The schedule of working group meetings is listed below (subject to change). All meetings will be held from 7-9 p.m. and are open to the public.